If you are lucky enough to own a couple of Mac machines but only have enough desk space for one monitor a new adapter called the Kanex SnapX will let you link two Mac systems to one monitor. 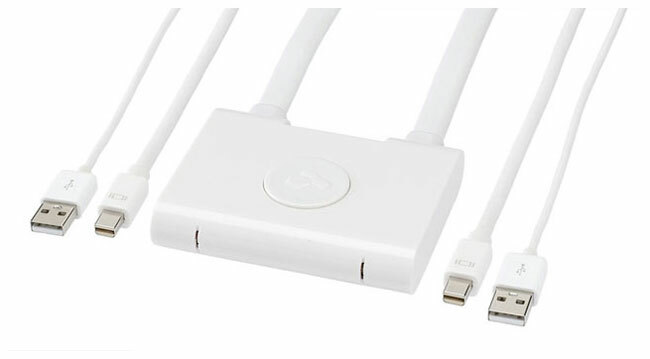 The SnapX is fitted with two mini DisplayPort connectors, 2 x USB connectors and two integrated cables design to enable you to connect two Macs machines to either your 24 or 27 inch Apple Display. 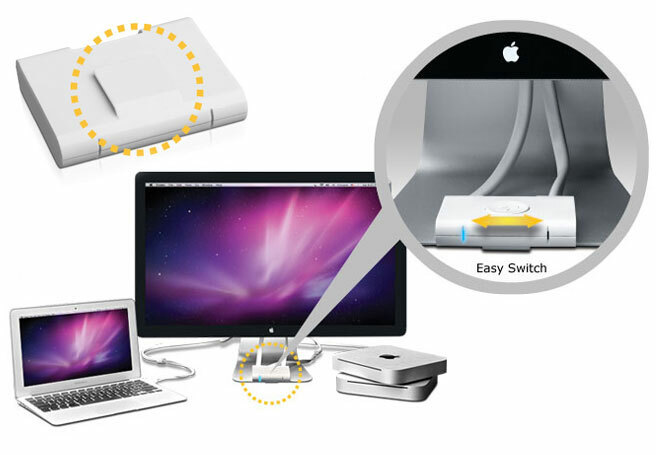 A single button on the Kanex SnapX allows you to jump back and fore between your Mac machines. On either selected Mac machine you are able to hear its audio, view its display and use its FaceTime camera, and no extra external power is required. On the back of the SnapX there is a handy clip that has been added to allow you to clip the button to the stand of your monitor.